I love "When Harry Met Sally" and could give you a list of my favorite quotes, One being: "When you meet the person you want to spend the rest of your life with, you want the rest of your life to begin immediately." I am a new quilter and am in love with scrappy quilts! I love log cabins where some of the strips have been made of different triangles, square and rectangular pieces. Love your quilt featured in the magazine. I think the log cabin block can be really versatile as far as setting the blocks together. I'm also a nine patch and bear paw block lover. Most recent favorite is the pinneaple block. But maybe bc I am working on those now! I love the log cabin block & really love your quilt with those fabrics. Might have to try them myself! Beautiful quilt! I have made one log cabin quilt and it took me forever to finish. I started it when my daughter was in middle school, put it away for a while, rediscovered it and finished it by the time she was married. It did turn out very nice and I get compliments on it. Why did it take me so long? No reason – I'm just slow! I think my all time favorite block in anything to do with stars. My favorite quilt block is the log cabin for its versatility. Love that quilt! Little Gatherings and Etchings together, When Harry Met Sally fits it perfectly. 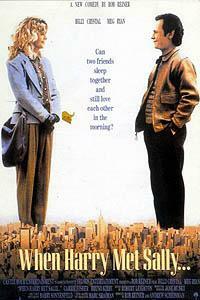 I watched that movie today, always love to see the windswept tulip quilt on her bed. Cassie seems to be a sweetie. Thank you for the gorgeous, inspiring quilt. I love any block with a star! I love this quilt and the fabrics you used. I would have never thought to pair these two lines. Love how it turned out! I think I have more than one favorite, but I know there are some that I definitely don't like! It seems that I'm always including a churn dash block or a star one. I adore sunbonnet sue, she's just so whimsical. Log cabins are simple, but when combined in different layouts can look so intricate. I could go on, but I won't, lol. Thanks for a giveaway. I have a few faves, but Log Cabins are toward the top of my list–probably because of the layout options. I ABSOLUTELY LOVE, LOVE, LOVE how you mixed such opposing lines of fabrics. This is so BEAUTIFUL. It has inspired me to be a bit more daring on my next project. Thanks!! My favorite block is Ohio Star. Well, I sure hit a lucky post!! Not only do I love Log Cabin block, but I want fat 1/4 bundles of both of those lines!! I never thought of mixing them though, and it's beautiful! I might love Log Cabin because it was the first block I learned from beginners class many years ago. We used 1" strips (yes, we did!). It was to also teach us accuracy. 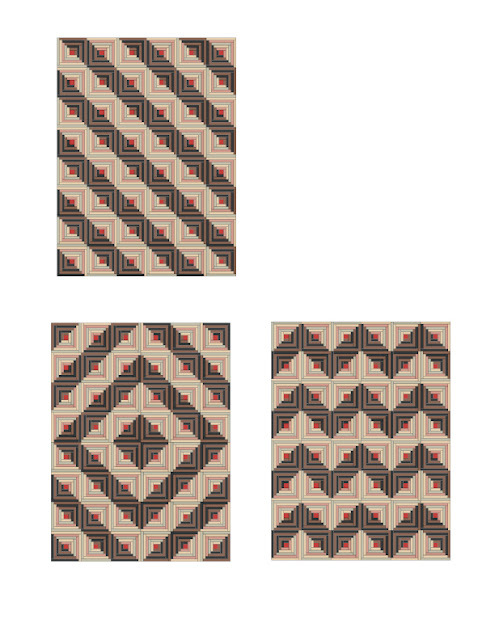 I made a table runner from Cristal Cartars book – then the Santa face. Even at 1" I was hooked!! It would be awesome to win this!! I love how this looks from a distance! Great layout options, too. Beautiful quilt! My favorite blocks are anything with stars. Thanks for a chance to win! Your quilt is gorgeous!!! One of my favorite blocks is the pinwheel. I would love to make a log cabin quilt in the barn raising setting. Thanks for the chance to win. What a beautiful quilt. I love log cabin quilts. 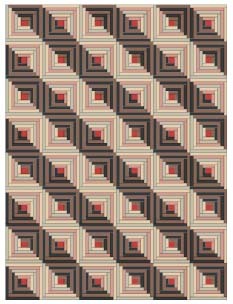 I am new in the quilting world and have been happy with the nine patch, but it would be wonderful (and a little scary!) to try a log cabin. Your quilt is awesomely beautiful – I love your fabric choices and the light and dark blocks. You are very talented! I loved all your arrangements. It is so amazing how just flipping something can make a totally different look. That is a great quilt. Actually, my favorite quilt block is the log cabin and I probably make some variation every other quilt I make. I like to sew strips together! 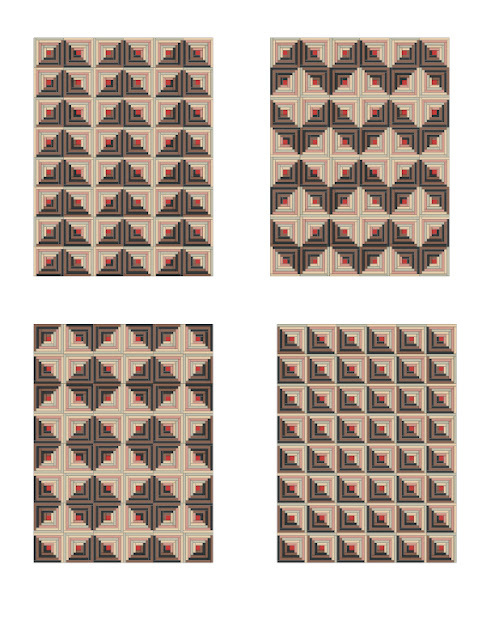 I love how the log cabin block can make many different quilt "looks" with the layout of the block, great post, great visuals…. my favorite block is the nine patch , with the log cabin a very close second! I love your quilt and yes its on my list of quilts to make now! Actually would love to make all the quilts you have layouts for above. I think my favourite block is New York Beauty but there aren't very many blocks that I don't like. I really like paper piecing so I don't mind tiny log cabins and pineapples. 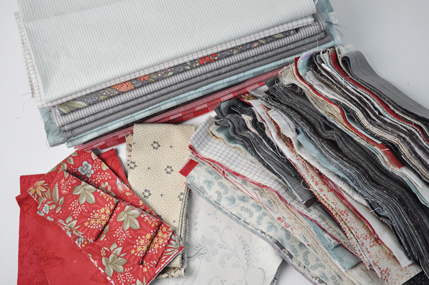 There are so many more quilts just waiting to be made. I love that quilt – what an interesting challenge! Your scraps look very, very temping :0) My favorite block is a sawtooth star block.